Essex Roads Cycling Club is a Clubmark approved club of over 200 members, drawn primarily from mid-Essex but also neighbouring counties and North East London. 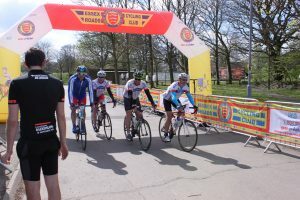 Club members ranging from juniors, through youths, seniors to veterans are active in many areas of the sport: social/training rides, time trials, cyclo-sportives, track racing, etc. Weekend rides typically start and finish in Billericay. Evening Series Time Trials HQ West Hanningfield (new venue for 2019 onward), Club Evenings and Training Sessions are based in Rettendon, and the Club has the use of a club hut at Ugley, used as a base for rides, for the youth tour, as an HQ for TT’s and Road Races and for social events.